One of my favorite things about making oatmeal is that it is a delicious, yet fast breakfast. Also, perfect for a large crowd. 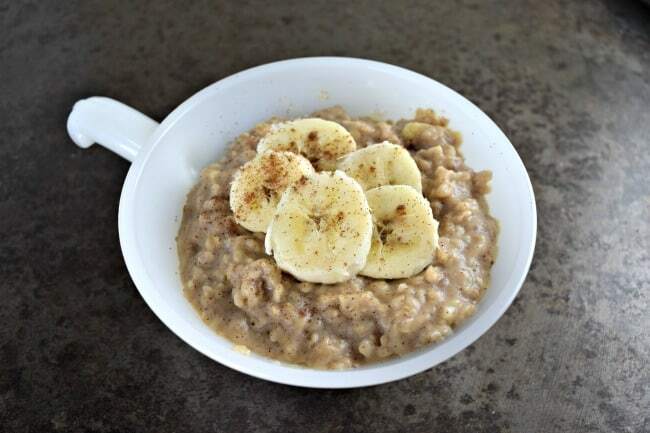 This Peanut Butter Banana Oatmeal is great for these fall and winter mornings when you want something to warm the bones. A healthy breakfast for the whole family. In a medium sized bowl mix together your bananas and peanut butter using a hand mixer until mashed and combined. Add milk, brown sugar, cinnamon and vanilla. Mix until combined and stir together with the bananas and peanut butter. 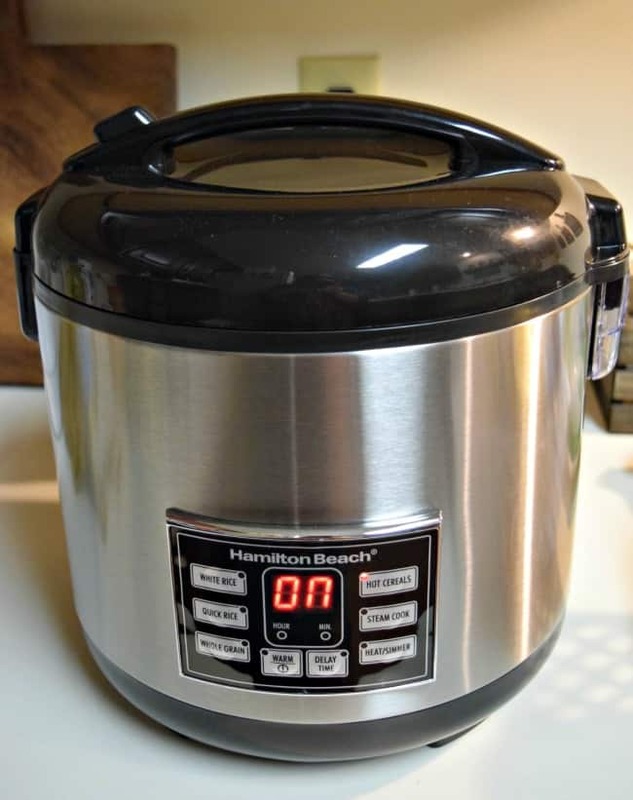 Place mixture into the Hamilton Beach Rice Cooker bowl. Cook on hot cereal setting for 15-20 minutes. Top with extra bananas and cinnamon if desired. 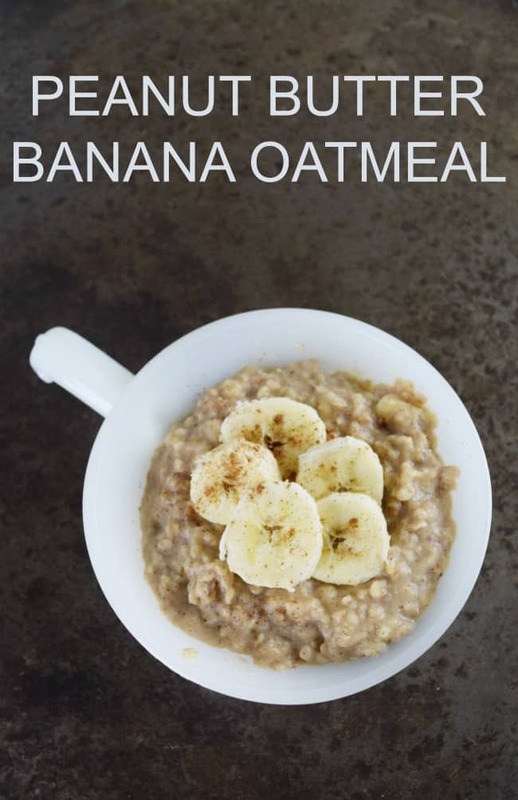 What I love the most about this simple and quick breakfast recipe is that it can be easily made in the Hamilton Beach Rice and Hot Cereal Cooker. Gather all of the ingredients, toss it in and in 20 minutes your whole family can be enjoying breakfast together. Which makes it great for holiday mornings when everything else is in a rush. 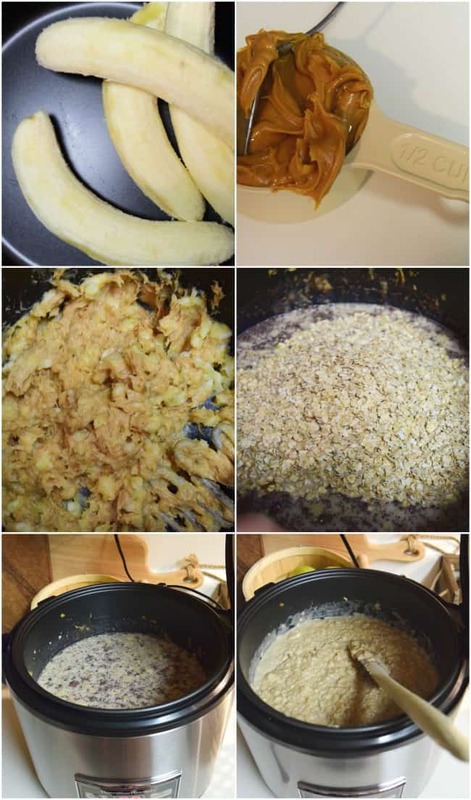 Not only can you cook things like this Peanut Butter Banana Oatmeal recipe but you can also cook rice, steam vegetables, cook fish, etc. It also has a delay start which can make meal prepping and planning even easier. Step up your kitchen game with the LG’s InstaView™ Door-in-Door® refrigerator! How zippered bedding changed our sleep routine!